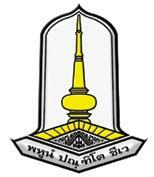 Mahasarakham University was established as an independent public university on December 9, 1994. It was the nation’s 22nd governmental university. Previously it was a branch campus of Srinakharinwirot University. Its history can be traced back to College of Education (Mahasarakham) which was founded on March 27, 1968. The historical development of Mahasarakham University, or MSU, may be traced back to March 27, 1968, when it was originally established as the College of Education, Mahasarakham, for the purpose of extending higher education to the nation’s Northeastern region. Situated in an outer area north of Maha Sarakham, a small town right at the center of the region, the college functioned to produce quality teachers to serve educational institutions of all levels. The college’s status was later elevated when it became a regional campus of Srinakharinwirot University in 1974. At that time there were four faculties: Education, Humanities, Social Sciences and Science. The university finally gained independent status and became Mahasarakham University, Thailand’s 22nd government university, on December 9, 1994, when the University Act was graciously authorized by His Majesty King Bhumibol Adulyadej and published in the Royal Gazette. Mahasarakham University has since expanded rapidly in terms of both facilities and academic services and has become a comprehensive university, offering undergraduate and post-graduate degree programs in three academic clusters: Social Sciences; Pure and Applied Science; and Health Science. In response to this growth, in 1998, Khamriang Campus was set up in Kantarawichai District, approximately seven kilometers from the original campus. With 17 faculties and two colleges currently operating, MSU has been widely recognized as one of Thailand’s fastest-growing universities. The total enrollment has also increased, from fewer than 10,000 in its earlier years to more than 30,000 students at present. Many faculty buildings have been constructed on Khamriang Campus, now the administrative and academic center. To further extend its academic services to remote communities,the University now has 15 academic service centers in Northeastern provinces. Mahasarakham University is a community-based institution of knowledge and wisdom, academically serving the community with varieties of educational systems and proper technologies, in addition to taking a leading role in research and integration of local wisdom for international recognition. Promoting and developing research activities for academic excellence and the community’s sustainable strength. Faculty of Accounting and Management. Faculty of Tourism and Hotel Management. Faculty of Architecture – Planning – Creative Arts. Faculty of Environment and Resource Studies.